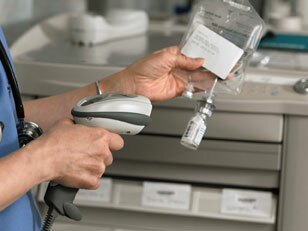 There are many different applications that can help utilize any hospital wireless network. From video conferencing to inventory management and tracking, learn from this list of the top 5 applications that can dramatically improve your guests stay and make your team more efficient with their many tasks. 1) Clinical Communication - Better communication means better care. When clinicians communicate easily, they can diagnose and treat patients more quickly. Clinicians get lab results as soon as they’re ready. They can easily access vast medical databases from their smartphones, tablets and other mobile devices. Ultimately, patient outcomes improve. Video can dramatically improve the quality of conversations and patient communication. Mobile Videoconferencing can help solve problems that arise from missing "Visual cues". Visual cues get lost when interpretive services for hearing-impaired and non-English-speaking patients are provided soley over a telephone. Example: Voice-over-wireless phones from Vocera and other vendors make it easy for clinicians to communicate, whether they’re on rounds or in an examination room. 2) Guest Access - Guest Access is a secure way to share your hospital wireless network with visitors, patients, contractors and other guests. Idenity-based security seperates internal and guest traffic to provide iron-clad security for the hosptial's LAN and servers. Example: Aruba's fully customizable captive portal blocks devices from access the network until a web browser is opened and authentication credentials are entered. Aruba also simplifies the guest account process by allowing for quick and easy provisioning of guest credentials over a web interface by non-IT personnel. 3) Location and Tracking - When healthcare institutions know where their staff, patients and assets are located at any moment, they can improve workflow, reduce costs, and increase patient and staff safety. Wi-Fi Location services improve response time and reduce loss of high-value assets by providing visibility into their precise location. Example: Aruba's AirWave Management Suite provides a cost effective location services solution for hospital wireless networks. It does not require additional hardware or software. 4) Medical Device Connectivity - As wireless LANS (WLANs) are quickly becoming the connection of choice for patient monitors, electrocardiograms (EKGs), portable CAT scans and other medical devices, hospital wireless networks need to improve information flow and the quality of care. Example: SecurEdge Networks can provide support for multiple medical devices on the same WLAN and minimize network complexity, allowing your Hospital Network to support all your wireless mobile needs. Speak with a free wireless network consultant here. 5) Inventory Management - One of the most effective ways to increase profits is to control or reduce costs. For a hospital, real-time inventory management plays a strong role in cost control. 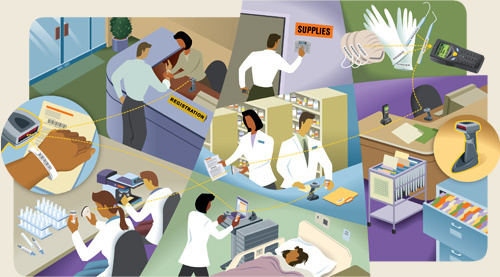 With a clear view into the supply chain, hospitals can control the movement of their assets and maximize the utility of stock locations, such as available or used prescription drug counts. Example: As a prescription drug is filled in the pharmacy, a barcode label is attached to the container that will link the prescription to hospital inventory. A hospital employee can simply use a mobile device to scan the prescription drug barcode to 1) remove it from the inventory case and then scan the recieving patients wristband bar code to 2) apply the prescription drug to the patients records instantly. What are your thoughts on the top 5 Applications for Hospital Wireless Networks? Post your comments and suggestions for other applications below. Are you designing a hospital wireless network? Or are you changing your network to support additional mobile devices and applications? Download our Free Wireless Network Design Kit (below) or contact us for a Free Wireless Network Design. 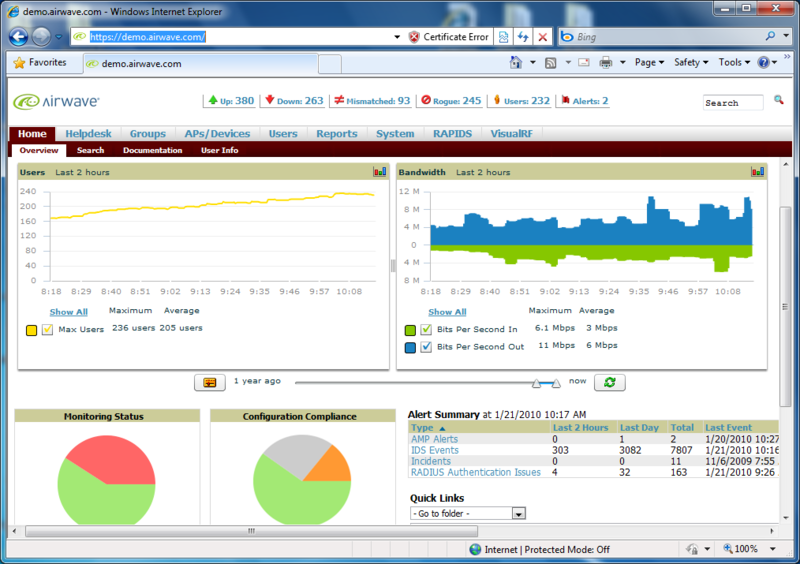 Previous Post: What is Network Access Control (NAC)?